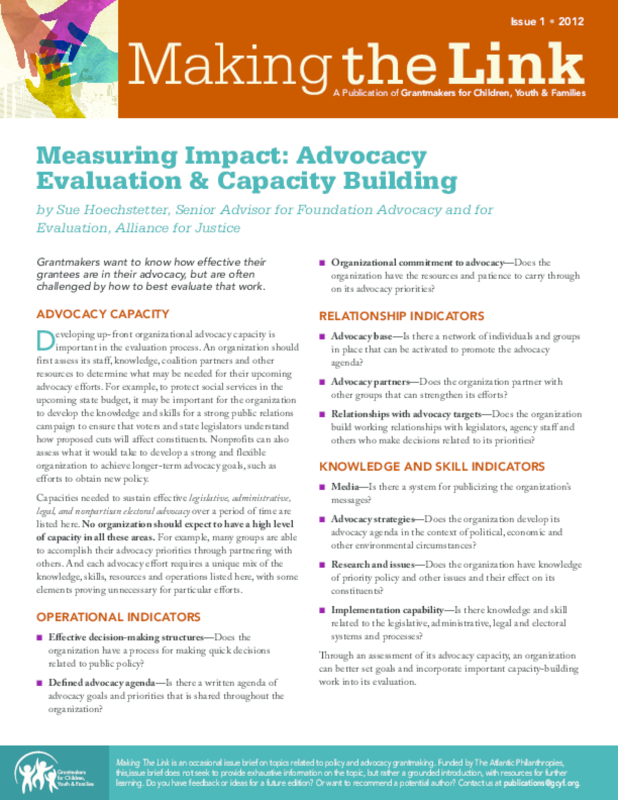 Developing up-front organizational advocacy capacity is important in the evaluation process. An organization should first assess its staff, knowledge, coalition partners and other resources to determine what may be needed for their upcoming advocacy efforts. For example, to protect social services in the upcoming state budget, it may be important for the organization to develop the knowledge and skills for a strong public relations campaign to ensure that voters and state legislators understand how proposed cuts will affect constituents. Nonprofits can also assess what it would take to develop a strong and flexible organization to achieve longer-term advocacy goals, such as efforts to obtain new policy.